As I’ll be gone for about ten days, I ask, as usual, for readers to refrain from sending me emails—unless they point out errors or typos in posts (and I won’t be doing many posts anyway). I have trouble keeping up with the volume of email on normal days, and when I’m traveling it’s nearly impossible. Please hold onto your contribution until I return and am posting again from Chicago. This entry was written by whyevolutionistrue and posted on November 2, 2018 at 10:15 am and filed under website matters, website-related items. Bookmark the permalink. Follow any comments here with the RSS feed for this post. Both comments and trackbacks are currently closed. Great portrait of Ceiling Cat. It would appear the deity is taking a break from consulting with the Weather Gods and eclipsing the sun for color optics. Not all cats were made in that Image. Curious as we are, where are you heading? 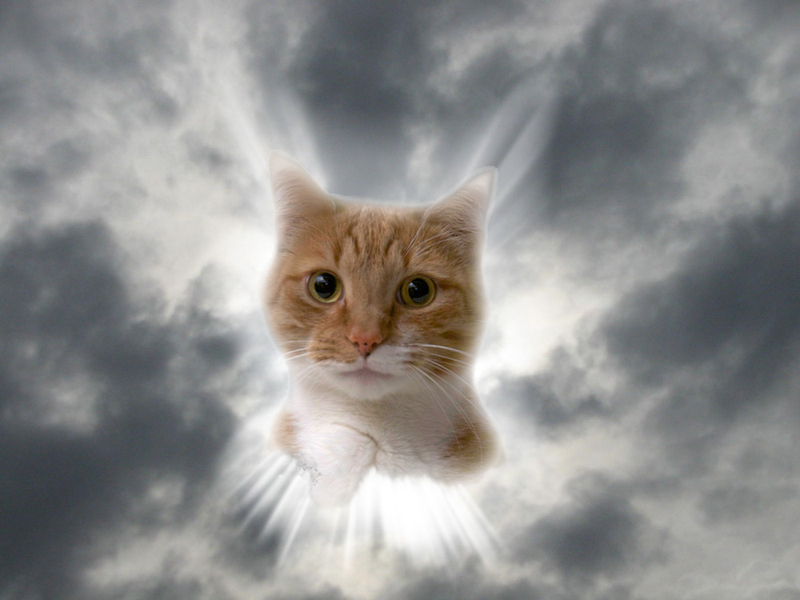 Beautiful portrait of the Ceiling Cat, were we mistaken and is there a … after all?